Roughly two years after unexpectedly disbanding, Osaka’s talented young shoegaze band Whisper Voice Riot recently announced out of nowhere that they’re starting it back up. Despite having emerged as one of the really impressive young bands in the Japanese shoegaze scene, the then teen-aged Whisper Voice Riot decided to call it quits in 2016, with two of its members going on to form indie rock outfit Mississippi Khaki Hair almost immediately after. It surprised a lot of people when, on January 24th, WVR and MKH frontman Taito Kimura randomly posted “we’re back” with a link to Whisper Voice Riot’s sound cloud page and some photos of the defunct band. The response was overwhelmingly positive, which doesn’t seem at all surprising given the band’s reputation prior to breaking up. However, Taito and WVR guitarist/MKH bassist Usui didn’t intend to make that announcement that the time. “Usui and I had been talking about wanting to start up WVR again for a while,” Taito explained. “I posted ‘we’re back’ on Twitter to mean ‘at some point we’ll be back’, and everyone mistook it as ‘we’re starting the band back up soon’. The response exceeded our expectations.” Believing it to be some kind of “fate”, Taito and Usui had to find members. They brought back former WVR bassist, Shibata, and added a two new members to round out the band’s new lineup. While he mentioned that Whisper Voice Riot is here to stay for as long as possible, Taito also plans to keep Mississippi Khaki Hair going at the same time. “I’m an egotist, so if I want to quit, I’ll quit.” For now at least it seems that fans of both bands won’t have to worry about any more sudden breakups in the near future. 2015 saw a ridiculous number of releases, making these lists more difficult than in years past. As is often the case, there were a lot more EPs put out in 2015 so narrowing them all down to the ten best was tough and meant omitting some worthy bands – in particular Wintermute, Group2, haguki, and Thru The Flowers artists Boyfriend’s Dead and Honey Mustard Sauce. The best albums list was also a bit difficult, and while Xinlisupreme and Looprider put out a couple of my favorite albums of the year, in keeping with the “shoegaze albums” theme I decided to leave them off (though I’d argue that “Satellite” from Looprider’s My Electric Fantasy was among the best shoegaze tracks in 2015). I did a lot of swapping of the orders of these lists, and this is where I finally settled, though I could easily change things around and still be happy. All of the links below will lead you to digital and/or physical purchase options (where applicable), and all of the shops that sell physical versions do ship internationally so if you dig what you hear I encourage you to grab a copy for yourself. 7. me in grasshopper – New Saturday e.p. The proclaimed “Japanese King of Shoegazer” put out two four-track EPs this year, the first of which earned a spot on this list. The title track is an absolutely immense shoegaze track, with a thick, dreamy build up to a huge, swirling finale. The next song is a hook-y change of pace titled “She is a Low”, and the second half of the EP features a remix of each – one by fellow Tokyo shoegazers broken little sister and the other by Clubbers. It is classic cruyff in the bedroom, who demonstrated why they are arguably the most noticeable and highly-regarded Japanese shoegaze band around. Another band that was on my watch list at the start of 2015, Yukino Chaos came on strong this year with an impressive showing at the January Total Feedback event and released their demo EP Everything Means Nothing To Me in March. My only knock on this EP is that it’s only three songs, but as far as demo EPs go this is as good as it gets – the songwriting is fantastic and the sound quality is without any major flaws. The fact that these guys are just getting started is really exciting. Good news: they’ve got some more new music coming out in early 2016. Over the last couple of years, arguably no one has done a better job of showcasing the newcomers to the Japanese shoegaze scene than Kiiro Records. 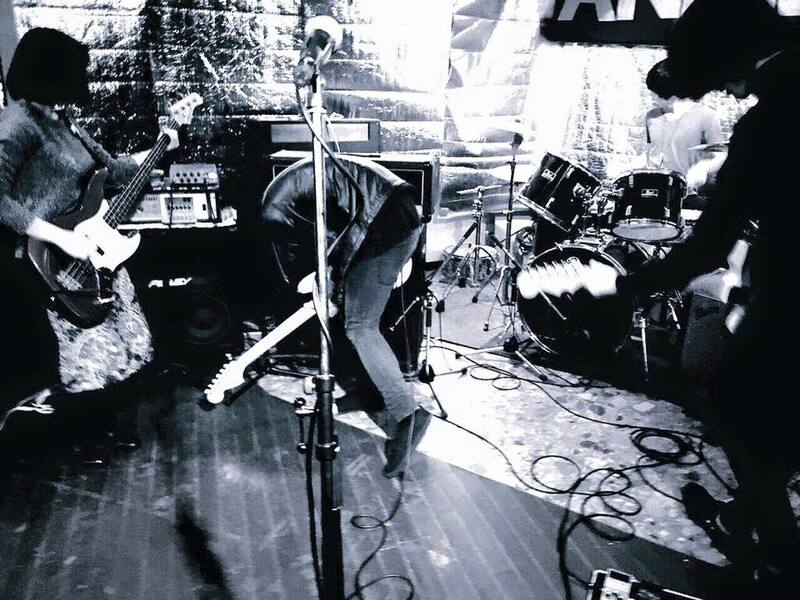 Their FOREVER SHOEGAZE comps have been much talked about in shoegaze circles both in Japan and overseas, and the netlabel’s free digital release policy has attracted a large audience and brought attention to some of Japan’s hidden musical treasures. This year Kiiro released a Japan Shoegazer Festival exclusive CD-R, and it might be their best comp to date with songs from the likes of Cattle, Youthmemory, Group2, AOQ, Yukino Chaos, and more. Unfortunately the CD-R was a very limited release, but Kiiro has made it available for stream on their Bandcamp page. If you’ve got $1,000USD lying around and are feeling especially charitable you can download it as well. By 1996 the shoegaze genre had sort of peaked in terms of popularity in its first go-round and made way for grunge and Britpop, while slipping away into relative obscurity. In Japan the so-called ‘first wave’ of shoegaze had already come and gone with the country’s founding fathers of the genre long disbanded or still working out a release. 1996 would be the year that Luminous Orange released its debut album Vivid Short Trip, and a mere two years before Supercar would release Three Out Change and effectively kick off a new wave of shoegaze bands in Japan. That’s a very brief glimpse back at the year 1996, but one to just put things in perspective. 1996 was also the year that the first of Whisper Voice Riot’s members were born. The Osaka shoegaze band’s lineup consists of members born in ’96 and ’97, prompting comments about how they’re the future of the Japanese scene and whatnot. The concept isn’t just based on the fact that they’re all still in high school, though. They’re actually really, really good. Right around the end of last year they put out their first track “Stargaze” and prompted a whole bunch of Tweets by people who were surprised that it was made by teenagers. Admittedly, I was a little curious, if not skeptical, about how things would go from there. Having witnessed first-hand how little free time high schoolers have and experiencing how tedious arranging band practices can be, I wouldn’t have been surprised if they just fell victim to the pressures of university entrance exams and disappeared entirely. That wasn’t at all the case, however, and Whisper Voice Riot has had a great 2015, during which the band been a part of some pretty good gigs and put out some new material – the first of which was a danceable follow up single aptly titled “Let’s Dance and Sink Down”. Their songwriting ability once again grabbed a lot of attention, resulting in an invitation to perform at Hata Yusuke’s monthly Total Feedback event at Koenji HIGH in Tokyo – something of a rite of passage for Japanese shoegaze bands. However, it’s in the Kansai-area shoegaze scene that Whisper Voice Riot has quickly become a mainstay. Their emphatic performance at the Kyoto Shoegazer vol. 3 event at Annie’s Cafe this summer showed a level of confidence and poise beyond their years that impressed the hell out of me and just about everyone else at the show. The highlight of the year for Whisper Voice Riot was undoubtedly this past weekend in Osaka where the band had a supporting slot at the Tokenai Namae album release party. They had teased a release of their very own with a new track on their Soundcloud page, but the show in Osaka was where they officially put out their debut 3-track EP Before the Morning Cleaves Our Night. As a further testament to their increased standing in the Osaka music scene, the maiden release was produced by Post Modern Team’s Kishida-san. With their first two singles being pretty different, I was a little curious whether Whisper Voice Riot would go the way of the first and choose the indie pop/shoegaze path or if they might just choose the pop route. Naturally, as a fan of the former I had my own hopes, especially seeing how their aggressive live show would be an asset to a Japanese shoegaze landscape that could use a bit of a jolt. Needless to say, I am pleased with the balance of the EP and the fact that they, along with Kishida-san, did not shy away from the loud side of things while still keeping the catchy pop melodies in tact. There’s not much to say that hasn’t already been said in terms of Whisper Voice Riot’s potential. There’s still room for growth, but they’ve shown that they should be capable of filling out their sound even more as time goes by. I still wonder about the effect that their formal education may have on their creative passion, but to this point it’s done nothing to slow them down. I had them on my list of bands to keep an eye on in 2015, and it’s reasonable to extend that claim for the foreseeable future. At the moment Whisper Voice Riot’s EP is only available at shows, but they’ve announced that it will be available via mail order in the near future. Stay tuned by following the band on Facebook and Twitter.